It was yet another success for Brand, who was in the headlines last year for returning a stolen 1,600-year-old mosaic to Cyprus. "These artworks are priceless. To find them in a garden after searching for eight years is just incredible," the art sleuth told AFP. "You can imagine how horrified they were to learn that their garden ornaments were in fact priceless stolen Spanish religious art." 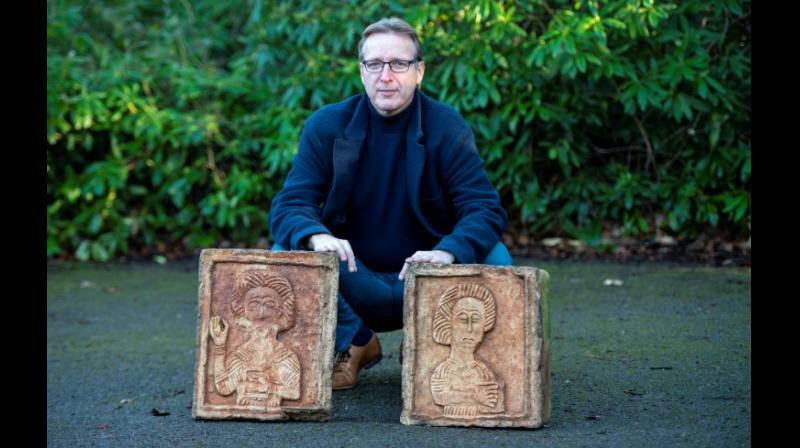 The private investigator showed AFP the stone carvings, one of which depicts John the Evangelist, author of one of the Gospels, hours before they were handed back. The reliefs, said to weigh 50 kilos (110 pounds) each, were then handed to representatives of Spain's Guardia Civil police force, who are collaborating in the case, and two museum curators from the northern city of Burgos.